Mark changed the way I look. The gym is my religion and Mark my preacher! I have had the pleasure of working with Mark for the past three years. I've worked with a number of trainers over the years, but I can easily state that Mark is one of the best. One of the things that has alwayst impressed me the most is his attention to form. You can be assured that when you are working out with Mark that you will alway be doing your excercises correctly, with the maximum results and no injuries. I always recommend him to all my friends and will continue to do so. My first day training with Mark I had no idea what to expect. I was nervous, afraid, I was scared of myself and who I became since I gain so much weight. Mark made me feel so comfortable with myself that I knew I found an amazing trainer and a great friend. Training with him I started to be more confident in myself and I thank you so much for everything u have taught me. I walk with my head up higher because of u, nothing will stand in my way anymore:) thanks again Mark. I've been training with Mark for about two and a half years. I've gotten older but I feel stronger! I do things now without even thinking that I might have struggled with before. Example - I was swapping out two propane tanks and when I went to put them in my Jeep, instead of one at a time, two hands, without even thinking I picked up one in each hand and put them both in the back at the same time! I notice the strength gains every day - it has enabled me at 53 to still play ice hockey with guys 1/2 my age. Try it out - you'll like it! I have been training with Mark for almost a year now. I haven't felt this good. I feel like I can do anything, and always go the extra mile now. Even training at home - it still works! I get just as good a workout at home as I did at the gym with Mark! Training with Mark is the best gift my fiance ever got me. 2.5 years ago she got me a package of sessions to train with Mark and I havent missed a week since then! Whatever your goals are, having a set schedule with a motivating individual like Mark will keep you on the path to success. Mark has helped me get into great shape that will help me in my career. He has helped people do everything, from train for the military, lose weight, or just stay active! The gift of good health and fitness is the best gift anyone can give! Instead of buying some gift that the person doesnt really need, why not give them the key to a door leading to healthy living? A couple of sessions will have you feeling great and wanting more! And no, Mark didnt pay me to write this! I just want to share with everyone so that others can get into shape and feel as great as I do. I agree with Tim! I have never felt better or looked better since training with Mark - he's a great trainer, motivator and friend! I was so sad when he told me about losing fitness on the bay because of the hurricane!!! I wasnt just upset for him, but also for me - I thought I wasn't going to be able to train with him anymore! However, he's been training me in my home and its been working out beautifully!! Mark has been able to use various items I have, and ones that he brings too, to give me an exceptional workout! I'm so thankful that he's been able to do the in home personal training! He has been able to push me beyond limits I ever thought I could reach! I was skeptic starting with a trainer because in the past I never had success - however, working with Mark has made me a believer in myself and my abilities! I thank him immensely for everything! All the positive and motivating talks when I have a "fat" day and he reminds me to focus on the "areas" that I like and to look at the progress I've made in the "areas" I wasn't so happy with. With his gentle encouragement he has gotten me to concentrate on more positive aspects of my life and my body!! Mark Falk has also helped my son Anthony! He has come a long way and continuing to become more confident and stronger each week!! Having Mark to train with is an absolute gift!! I appreciate all he has done for me and my son thank you!! "Upon my first meeting with Mark I thought to myself, I hope I don't embarrass myself too much. After a year of being a couch potato, flabby and tired all the time, I decided it was time to do something. At our first meeting he explained that he would be giving me a fitness evaluation to see where I stood. Outwardly I smiled, but inside I was hoping that I made it through the evaluation. As we finished he asked me to bend over and touch my toes, I panicked, thinking there is no way I can do that. Despite my past involvement with yoga, kickboxing, etc, I have never been able to touch my toes; at best I touch my knees. So I reached over and struggled to tap my kneecaps, thinking, 'this is bad'. Fast forward to 4 months later after working with Mark 2-3x a week, the changes that I have seen and felt have been amazing. I have dropped weight, and felt better than I have felt in years. Gone are the 1-2 hour naps I needed after work, my energy level is soaring. Gone are the mood swings and insomnia brought on by menopause, on workout days I go to bed at a normal hour and sleep like a baby. I am calmer, more relaxed and more motivated than ever to take care of myself. Mark has consistently encouraged me to push myself, yet he does it in a way that is positive, not punitive. Too often trainers push their clients to the point of pain, that is never the case with Mark. He works you hard, but is always checking in to see how I feel. At 50 years old that is much appreciated. His knowledge about what is right for the client makes you feel secure under his instruction. He is dedicated to bringing out the best in his clients, encouraging lifestyle changes, not quick fixes. UPDATE: Zach is now 17. 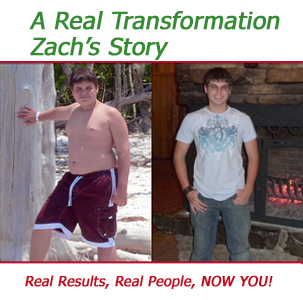 After this Testimonial, he went down to 148lbs and 18% body fat. The girls love him! He started at 5' tall, 168lbs, and 34.5% body fat. After his first six months, he had no signs of exercise induced asthma, and shortly after he was down to the above body fat and weight. He's now 5'6", 155lbs of muscle...and athletic! Good job Zach!